We've had several reports from North Carolina attorneys of Administrative Law Judge decisions arriving in attorney offices that lack their final page and the final page is crucial because it contains the decisional paragraph which says what the actual decision is. This is affecting decisions from multiple hearing offices. I suspect this could be a national problem since the printing of decisions has been centralized. I hope that the field offices and payment centers that effectuate these decisions are receiving the entire decision. No Social Security Cuts To Be Proposed "Now"
The Treasury Secretary said this morning that there would be no Social Security cuts proposed "now" in this Administration's first budget. I would caution that Republicans sometimes think that Social Security Disability benefits aren't really Social Security and, of course, they never regard Supplemental Security Income benefits as Social Security. ... In the morning session, the Board met with Robert Klopp, the Chief Information Officer and Deputy Commissioner for Systems at SSA, and John Garrigues, Chief Programs Officer for the SSA Disability Case Processing System (DCPS) development team. Mr. Klopp updated the Board on SSA’s in-house efforts to develop a second-generation disability case processing system (the DCPS2 project). The project was launched in fall 2015 after DCPS’s earlier efforts failed to produce a usable system. This effort, DCPS1, included a contract with Lockheed Martin. Mr. Klopp said that his office has conducted some early testing of DCPS2 with several state Disability Determination Services offices (DDSs). He reported that users found the system useful and intuitive. He acknowledged that, as yet, the system can support only quick disability determinations and compassionate allowance cases. Mr. Klopp said he expects the system to be able to handle about 50% of all cases by May 2017. Mr. Klopp also discussed a disability case processing and management system in development by MicroPact, a private company. MicroPact recently merged with Iron Data Solutions, a sub-contractor under Lockheed Martin on DCPS1. MicroPact has informed SSA that it is building a system for the DDSs and believes that its system will meet the needs of the individual DDSs better than the system being developed internally. Mr. Klopp said the MicroPact project was in its early stages of development. He also expressed the opinion that the MicroPact system does not yet have and may never have as broad a range of functionalities as he claims that DCPS2 will have. He expressed the view that MicroPact is selling its product to Congress before it is built through an intense lobbying effort. Mr. Klopp said that he is looking for a fair and independent evaluation of the two systems before one was chosen over the other. He also said that he believes that such an evaluation will be impossible until MicroPact has completed the first phase of development of its software, which Mr. Klopp said MicroPact projects to be complete in spring, 2017. In its afternoon session, the Board met with Tom Sechler, the Chief Executive Officer of MicroPact. Mr. Sechler explained to the Board that the current corporate structure of MicroPact was established in 2015, when the company merged with Iron Data Solutions, of which Mr. Sechler was CEO. Although Iron Data worked with Lockheed Martin on DCPS1, Mr. Sechler stated that Iron Data should not be held responsible for the failure of DCPS1, as the language in that contract limited Iron Data’s role in the project and precluded it from raising with SSA concerns Sechler said that Iron Data had with Lockheed’s management of the project. Iron Data is also the developer of the legacy disability case processing systems currently in use by 47 DDSs. Mr. Sechler said this experience gives his company an advantage over competitors, as staff at Iron Data understand DDS processes. Mr. Sechler said that MicroPact is currently investing in developing that system with its own funding. If SSA chooses to use their system, Mr. Sechler said that MicroPact would charge SSA only for installation and upkeep, which Mr. Sechler said would be less than SSA currently pays. Mr. Sechler hopes to prove to Congress that he has a system worth investing in and that a version of the software would be ready for use by April 2017. Mr. Sechler was asked directly whether he would support Mr. Klopp’s call for an independent evaluation of the two systems in the Spring of 2017 but did not say whether he does so. A Harrisburg [PA] man is accused of threatening to go into the Social Security office in Harrisburg and start shooting, Capitol police say. Rodney Deavers, 46, of Harrisburg, was charged Feb. 11 with making terroristic threats and harassment. He was released on $10,000 bail. Deavers told police he was upset with how his claim for disability/workman's compensation was progressing and felt he was "being given the run-around," Thompson said. Social Security's Office of General Counsel is updating its list of where you must serve process when you sue the agency. Suttles has a 15% reversal rate, meaning he turns down 85% of the claimants whose cases he hears. That's an extraordinarily low number. By any standard, Suttles is an extreme outlier. On January 25, I informed you of the President’s memorandum freezing Federal hiring. During this time, we will use certain, limited flexibilities provided to us by the Office of Personnel Management (OPM) that include career ladder promotions or reassignments and details to fill positions that ensure the continuation of essential services and benefit payments. We will also continue to ensure that our public safety and national security responsibilities are met. Keep in mind, this pause is temporary while OPM develops broader plans for the Federal workforce over the next few months. I will continue to do my part to keep you informed and I sincerely appreciate your dedication to our work and the public we serve. Witold Skwierczynski, of the American Federation of Government Employees, came to the press conference with a dire warning: Expect customer SSA service to retirees to get worst in the coming years. Staffing in field offices has been cut by 2,900 (10 percent) since 2010 while work increased 12 percent, he noted, expecting the agency’s workload to go up 32 percent through 2025 due to the retiring baby boomer generation. “President Trump is a hotel man. If he ran his hotels like SSA he would have another bankruptcy. None of his customers would tolerate a 3 to 4 hour wait for room service. However, SSA customers wait hours, days, weeks, months and years for SSA to process their business. That's not acceptable,” says Skwierczynski. Rachel West and Rebecca Vallas of the Center for American Progress write about the serious effects of income inequality on the Social Security trust funds. Because of the $127,200 cap on wages covered by the FICA tax, rising income inequality a greater and greater portion of income is escaping FICA. It's not like those with incomes over $127,200 a year are struggling. That's the group receiving the vast majority of income gains. 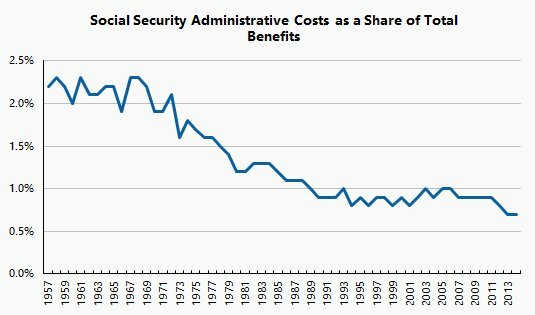 If, instead of a flat cap, the FICA cap had been set since 1983 so that 90% of wages are covered, the Social Security trust funds would be $1.3 trillion higher now. The Senate has now joined the House of Representatives in voting to block regulations adopted during the Obama Administration that would have prevented some individuals with representative payees drawing disability benefits from Social Security from buying firearms. Great work by all those in the Obama Administration who slow walked these regulations. The GOP couldn't have blocked these regs without your help. Oh, I know, you rushed it from Notice of Proposed Rule-Making (NPRM) to Final Regulation. I'm talking about all the time this was being ever so slowly considered before the NPRM was published. Report On DQ Reviews -- And I'm Not Talking About Dairy Queen! Overall, about 5 percent of the total PER [Pre-Effectuation Review] cases processed in FY [Fiscal Year] 2011 led to a denial or dismissal. Given the rate of denials and dismissals, we estimated the potential net program savings ranged from $23 to $25 million for that year. Overall, the Agency saved $4 to $5 on average per $1 spent on the PER process in FY 2011. There's one big problem with these DQ reviews -- there's zero proof that DQ possesses the gold standard for determining who is and who isn't disabled. You could save money by randomly overturning ALJ decisions that approve disability claims with no less validity. No one has a gold standard for determining disability. Notice the decline in dispositions at the same time as the agency's backlogs were increasing. Note also the much more dramatic decline in the number of favorable decisions. The 2010 election brought GOP control to Congress. The laws weren't changed but the climate at the agency changed dramatically. Backlogs were no longer a big concern. Denying as many cases as possible became a good thing. Anything like DQ that would cause more claims to be denied received favorable attention. In any case, I'm going to keep repeating, DQ isn't the repository of the gold standard for determining disability. There is no gold standard. DQ is a waste of money unless your goal is denying more claims. Most baby boomers can receive the full amount of Social Security they have earned at age 66. However, retirees who will turn 62 in 2017 need to wait an extra two months to collect their full Social Security payments. Starting this year the retirement age begins a gradual increase toward age 67. Here's how the older retirement age will impact how much you receive from Social Security. The New York Times has an editorial today on the rapidly increasing problem of student loan debt among the elderly. 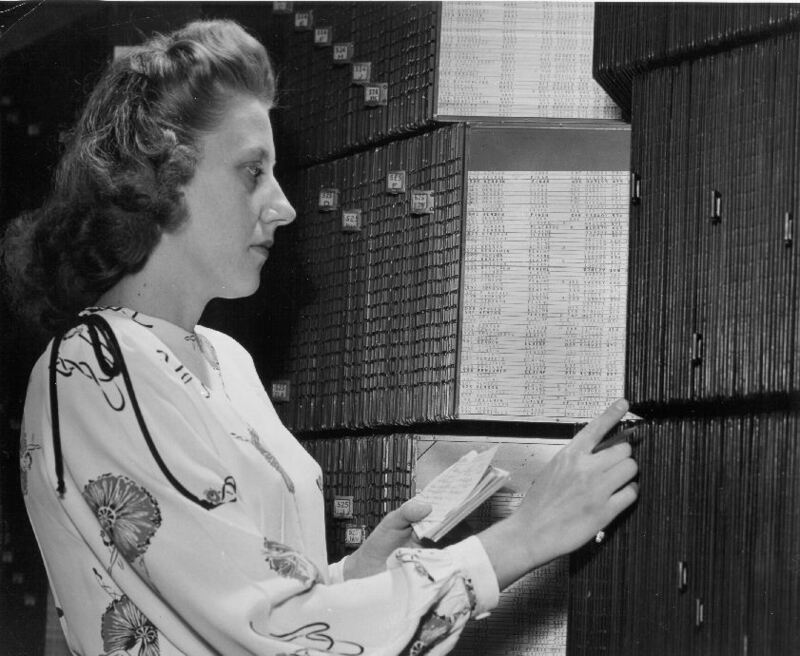 The editorial urges an end to seizing Social Security benefits to pay off private lenders. Public spending on incapacity (sickness, disability and occupational injury). Click on image to view full size. Note how low the United States is in comparison to other countries. Nancy Berryhill, Social Security's new Acting Commissioner, has written a piece for the agency's blog, giving some of her background story. People at the Social Security office are upset with long wait times. "I am more than frustrated, and I am not going to use any bad language. but I am more than frustrated,"
Aaron Simons just described how people felt when they visited Corpus Christi's only Social Security office. "I think it's nonsense that I have to wait this long. I think it's not organized properly," said Simons. People aren't just waiting inside the office. Many of these people lined up outside hours before doors opened at eight this morning. "I've been here since 7 o'clock this morning. Still waiting still waiting, I'm tired of waiting, but I have to wait because I need that paperwork for my wife," said Simons. Washingtonians who are among the roughly 5 million Americans relying on a special debit card offered by the federal government for Social Security recently had trouble accessing their cash. Direct Express promises safety and convenience. However, multiple users complained they couldn't find an ATM in Western Washington that would accept the card without a $3 penalty. "To direct deposit, you need to have a bank account for the money to come into the bank, which I didn't have. So, it really was my only choice," said Larry Woods, a recipient of Social Security, explaining why he chose Direct Express. The trouble started when Woods visited his nearest ATM and was blocked from obtaining cash without paying a surcharge. Technically, Woods shouldn't have to pay. On the website, Direct Express claims to have an extended network of surcharge-free ATMs. However, when KING 5 accessed the website, most of the links weren't working or identified zero participating ATMs west of the Rockies. After roughly two weeks, the website ATM search tool was functioning again. Jackson Costa has done a study, published in the Social Security Bulletin, on the decline in earnings prior to claims for Disability Insurance Benefits. Below is a chart from the study. The study demonstrates something that's obvious at ground level -- for most disabled people, disability isn't something that happens all at once. It comes on over the course of years. This is important because those in Congress and the higher reaches of Social Security tend to visualize disability as mostly associated with trauma but that's wrong. Trauma is actually a relatively minor source of disability. It's illnesses that accumulate and worsen over time. Often it's more than one thing that disables a person. People try hard to fight off disability. Often they wait a considerable period of time after stopping work altogether before filing a claim. People don't like to have to concede that they're disabled. 1. The ODAR [Office of Disability Adjudication and Review] leadership had a call with all of ODAR management and a separate call with the decision writers. They were told the state of the current way of doing business is not sustainable model. So as part of this, the decision writers were told they had to increase their productivity as there is a backlog of about 52,000 cases that continues to grow. In addition management has to start writing up decisions. This applies to management in ODAR offices that have some training on writing up decisions. It is my understanding the most group supervisors have this training so they have started writing up decisions. 2. SSA [Social Security Administration] slapped a freeze yesterday on all competitive promotions after 1/22/17. This applies to all promotions except career ladder promotions. An example is that you can’t promote someone into a group supervisor position or Hearings Office Director. This also applies to Field Offices. It is Agency wide. This comes from interpreting President Trump’s decision to put a freeze on hiring. That freeze also applies to promotions. When Will A New Commissioner Be Nominated? The Baltimore Sun asks how long it will be before the new President nominates someone to become Commissioner of Social Security. Their answer, which is certainly true, is God only knows. My guess, which may be proven wrong any day now, is that it will be months and months before there's a nomination. Commissioners of Social Security have precious little discretion. It's not likely to be a priority to nominate someone. The Seventh Circuit Court of Appeals isn't buying Social Security's "bait-and-switch." By the way, this is the first judicial decision I've seen with Nancy Berryhill as the named defendant. Why Deny A Man His Right To Self-Defense Just Because He Hears Voices Telling Him To Kill People? The House of Representatives approved on Thursday a resolution that would undo regulations adopted during the Obama Administration that would prevent many Social Security recipients from buying firearms if they need the help of a representative payee handling money. I am uncertain whether Democrats can or will filibuster this in the Senate. The National Academy of Social Insurance has issued a Report to the New Leadership and the American People on Social Insurance and Inequality. It might be helpful if some of those in the new administration would read this but I'm not expecting that. The Social Security and Oversight Subcommittees of the House Ways and Means Committee have scheduled a joint hearing for February 7 on representative payees for Social Security benefit.